Triple Eight Race Engineering has entered the 2019 Liqui Moly Bathurst 12 Hour with an entry that will be driven by all three of the team’s regular Virgin Australia Supercars Championship drivers. 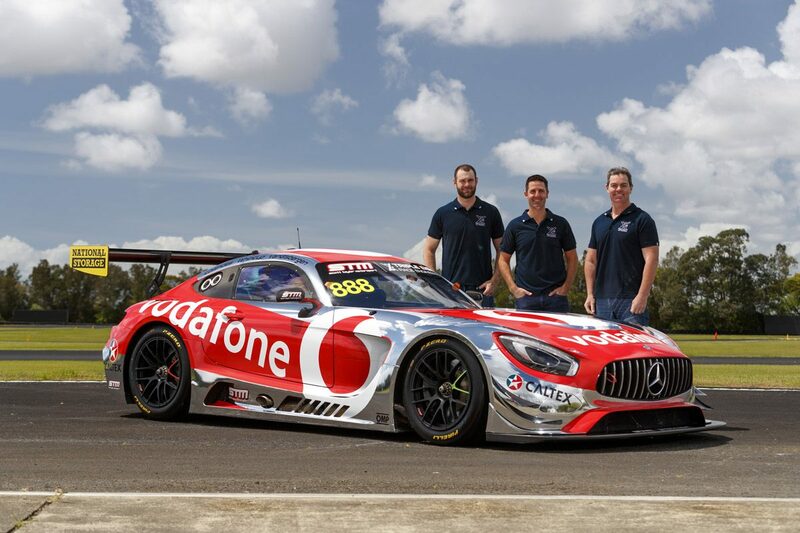 The squad will partner with Scott Taylor Motorsport to field a Mercedes-AMG GT3 which will be driven by Craig Lowndes, Jamie Whincup, and Shane van Gisbergen. It follows on from Triple Eight’s partnership with Maranello Motorsport in 2017 which saw Lowndes and Whincup partner Toni Vilander to win the race. The car will carry Vodafone backing, harking back to 2007 and 2008 when Lowndes and Whincup shared a similarly liveried entry to victory in the Supercheap Auto Bathurst 1000. It will be the first time Lowndes has raced a Mercedes-AMG GT3, and the first time he’s raced with both Whincup and van Gisbergen in the same car. “It’s sort of like the old rat pack back together again, although we’ve got Shane on board,” said Lowndes. “The car has lots of memories of when we had Vodafone on the Supercar, but it’s great to see the old colours back, great memories for that era. “It’s going to be nice, obviously the three of us are very well compatible and we know the circuit very well,” he added. Whincup is also looking forward to continuing his relationship with STM, having last driven a Mercedes for a series of demonstration laps at The Bend in April. The 2017 race winner this year drove a Scott Taylor Motorsport prepared entry under the SunEnergy1 banner, while van Gisbergen has previously campaigned a Mercedes-AMG GT3 in the United States. “Lowndesy and I and Team Vodafone competed at Bathurst for many years, so it’s good to get the band back together,” said Whincup. “I’m looking forward to teaming up with Lowndesy again, but both years Shane has been opposition for me, so it’s good to be in the same team for an all-out assault. Van Gisbergen added: “It’s amazing to team up with these guys. Working alongside them in the race team has been awesome, but getting to drive with them will be a pretty special moment for me. “I think every year the event gets bigger and bigger. 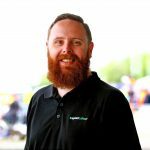 “More European teams and drivers come out, more Australian Supercars guys jump in it too and it just seems to get tougher and tougher every year and the fans support that. All three Triple Eight drivers have won the 12 Hour, with Whincup’s and Lowdes’ success coming a year after van Gisbergen won with Jonathon Webb and Alvaro Parente for McLaren. Lowndes also won the race in 2014.